In recent years much attention has been paid to safety of navigation and marine transportation. Marine Navigation and Safety of Sea Transportation addresses the main aspects of marine safety, including: safety of navigation; manoeuvering and ship-handling systems; marine traffic control and automatic identification systems; navigation tools, systems and equipment; anti-collision; communication at sea; manoeuvering and pilot navigation; sea-river and inland navigation; route planning and weather navigation; hydrometeorological aspects; methods and algorithms; safety and reliability aspects of technical systems; marine transportation; human factors and crew resource management; maritime education and training; maritime policy, proposals and recommendations. 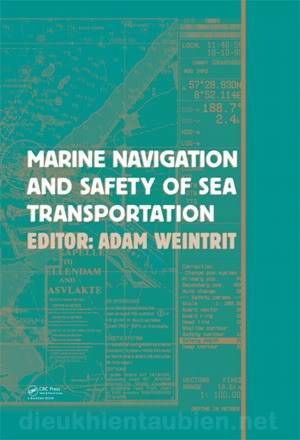 The book is particularly of interest to academics and professionals in maritime navigation, maritime transportation, and hydrography.